C tweeted A a couple of days ago, asking if he wanted to check out a night time street market which is currently being held at Old Street, so after A was done at work, he met C near Shoreditch and they proceeded to check it out. Sadly, it proved to be a disappointment: half the stalls were closed and there were barely any people there, despite the warm weather, so A decided that it would be a good idea to drag C to one of the Vietnamese places on the so-called 'Pho Mile' on the Kingsland Road for a cheeky bowl of chicken soup. It has to be said, A and C have previous history when it comes to Vietnamese food. On their first ever date, A took C to a Vietnamese place in Farringdon, which was frankly a bit of a disaster. C was then a rookie chopstick user and being a bit clumsy at the best of times, she didn't pass up the opportunity to throw soup down herself. C is so traumatised that she hasn't been back for Vietnamese since, but on this occasion she plucked up the courage to do so (C, who is reading this over A's shoulder, pointed out that it was quite possibly her worst ever first date experience, yet here we are a good while later). The place we picked, Mien Tay, is a little way up from the rest and is not very much to look at. The decor is faded and rather dingy, but it was packed to the rafters with Aussie advertising execs, slightly annoying Shoreditch hipsters and the other trendies and creatives which make up the usual E1/N1 crowd. A had been to Mien Tay before and as number of customers as as good an indicator of quality as any, A and C dived in. The shared starter of veggie spring rolls was passable. 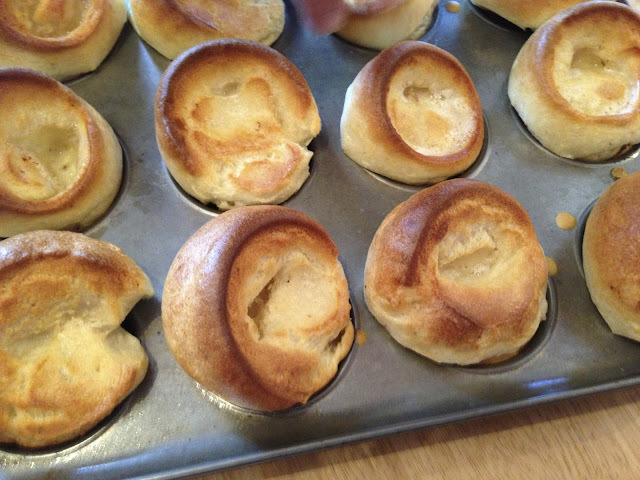 They came out lovely and crisp on the outside, but we were left wondering exactly how much inside there was. However, the presentation was attractive and we have eaten many worse spring rolls. As you can see from the image, the portion is hardly generous, but the rolls work out about £1 each, so we're not complaining. C went for a conservative option (no soup, as still bearing mental scars of her first date with A) of chicken with honey and spices and a bowl of boiled rice. The chicken was tender and tangy and the honey gave the meat a pleasant sticky consistency. Though it was billed as cooked with honey and spices, the spices were lacking somewhat; lovely, but not what C was expecting. The chicken was a bit chewy, the skin-to-meat ratio was pretty high and ultimately C was left underwhelmed. A went for the riskier soup option, happily managing to avoid dipping his tie in it. As ever with Mien Tay's pho, it was up to scratch: hot, tasty broth which was not over-salted, chunky prawns with a soft consistency and delicate flavour, and a bunch of pungent herbs and chilis to add to taste (A threw the lot in, along with a squirt of Sriracha for added oomph). A finished in double quick time, which always means good things. Zero complaints in the pho department. The drinks were also above par and C was enthusing about her lemonade. It appears to be home made, and is sweet, lemony and very refreshing; in other words, perfect for a muggy summer evening. Overall then, results for Mien Tay were mixed: the pho and lemonade are reliable but stray too far into the more unusual parts of the menu and weaknesses show. However, for a tenner a head, you can't complain too much. Service is remarkably quick and efficient, especially given some staff's limited English skills. The restaurant proudly displays its 5* ratings given by a number of food publications and review sites; however, we disagree with the consistently high scores. C, who writes restaurant reviews (including for one of the publications Mien Tay cited as giving a 5/5 review) would not have agreed with her colleague's rating, and would have gone for 3-4 instead. Mien Tay is reliable and cheap, but hardly a show stopper.